CIMtech Mfg. is committed to meet or exceed our customer’s requirements with focus on customer satisfaction through continual improvement processes. We use professionally calibrated inspection equipment. 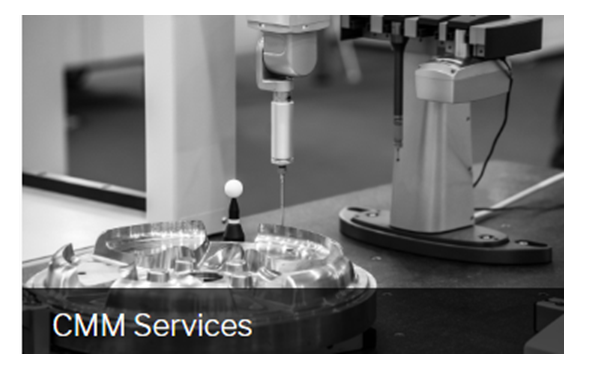 Our capabilities include precision and quality, without compromise, we strive to solve your complex manufacturing challenges. CMM Inspection Services include Dimensional Reports for First Articles & PPAP. 5-Axis, CMM (coordinate measuring machine) is designed for high tolerance inspection work. With work envelope of 40 x 25 inches, we can inspect multiple parts at same time. CMM contract services from CIMtech Mfg, can cover your first article & PPAP reporting including reverse engineering services. With Probing systems from Renishaw. We can inspect parts with high accuracy & low force contact. 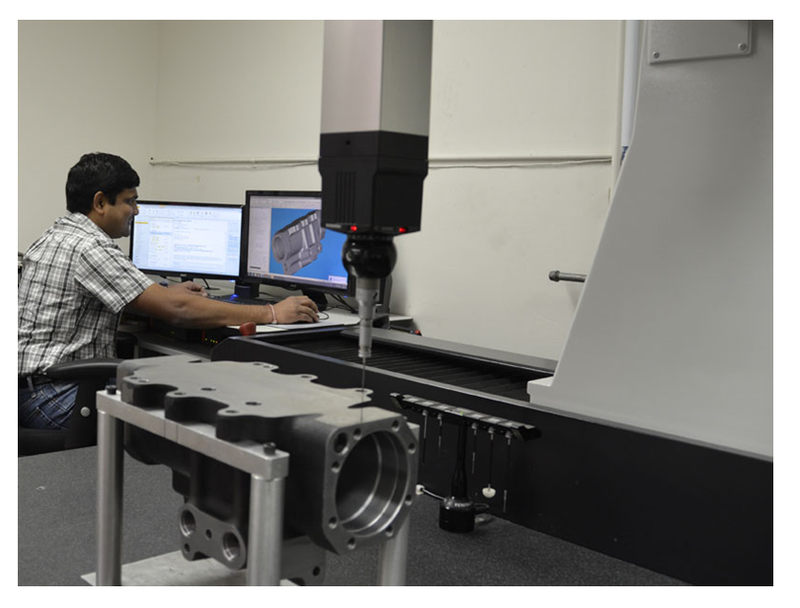 We provide dimensional inspection services using Coordinate Measuring Machine (CMM). The CMM is the most commonly used in performing First Article Inspection (F.A.I.) for quality inspection purposes. F.A.I. is the verification of an initial manufactured part prior to running it in full production. This verification is achieved by comparing the part to CAD model or drawing. We can create CMM inspection programs. We utilize customer’s CAD file & drawing with your inspection requirements. *PC-DMIS++® is a trademark of Hexagon AB or its subsidiaries. When it comes to CMM inspection, every calculation count. Powered by ProShop Digital ERP System we can trace materials during manufacturing process, this ensures timely delivery as per customer requirements. CIMtech Mfg. has been recognized as an acclaimed source for specialized, all-inclusive turnkey services and solutions.